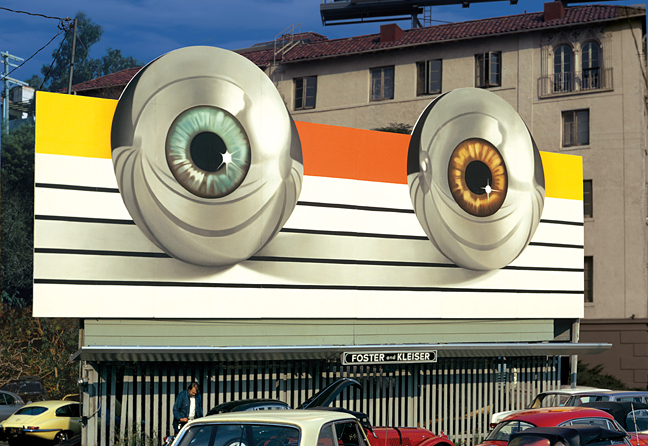 The enormous, unblinking chrome eyeballs stared down from their perch above L.A.’s famous Sunset Strip as record producers, nightclub owners, and movie stars sped by in their convertibles. 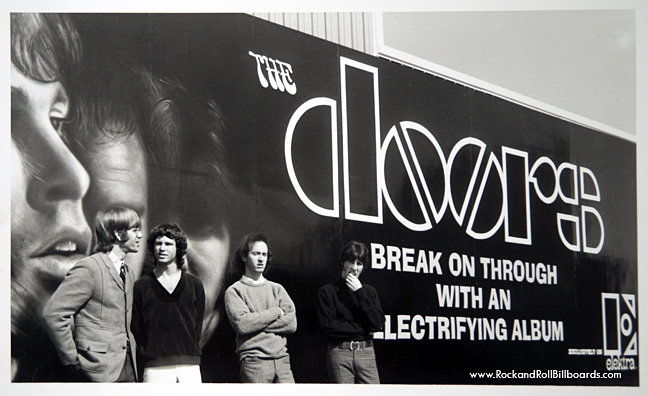 The sign included no words, but in 1972, everyone was familiar with “Tommy,” the rock opera about a “deaf, dumb, and blind kid” who plays a mean game of pinball. 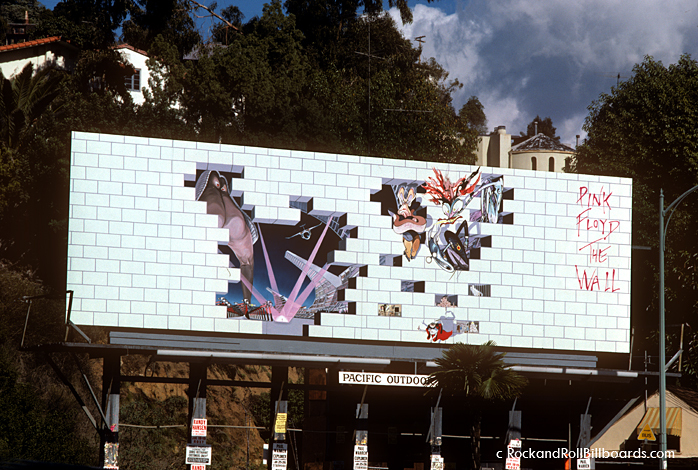 It didn’t really matter if passing motorists didn’t know these meticulously painted pinball eyes signified the release of the London Symphony Orchestra’s version of the original “Tommy” double album by the Who. The point was to create buzz, and it worked. 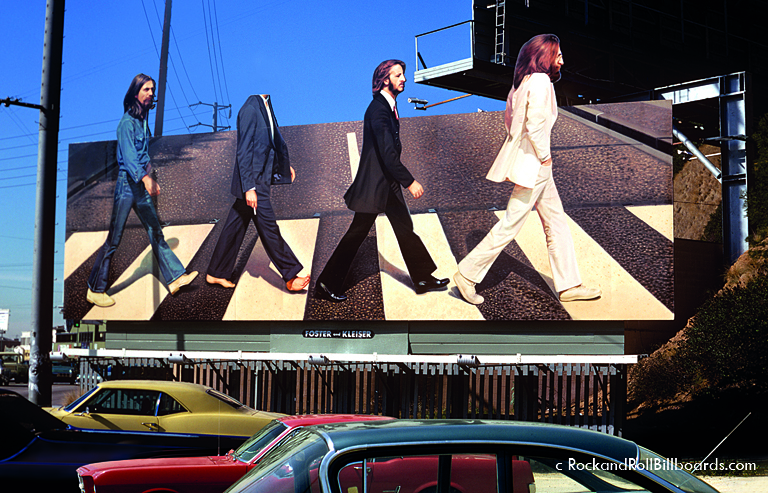 When my book came out, I posted on my Facebook page, “I’ll give a free copy of the book to anyone who could tell me what happened to Paul’s head.” The next day, I get a call from a guy named Robert Quinn, who is in his 60s now, and on his 16th birthday, he had climbed up there and cut the head off. 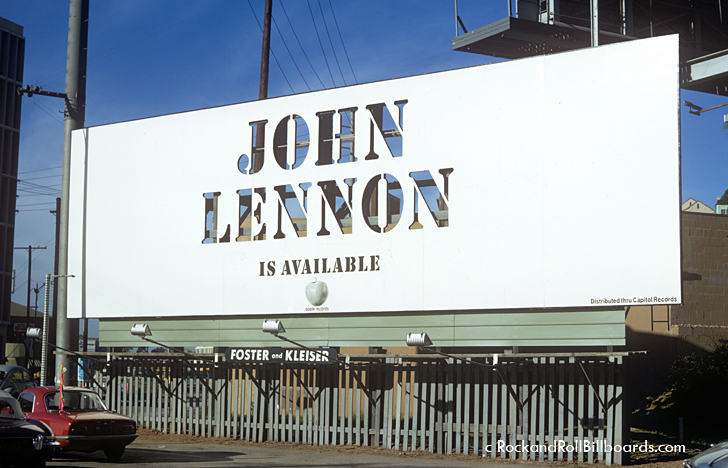 He still has it hanging in his living room somewhere in the San Fernando Valley. I went out and took a picture of him holding Paul’s head. 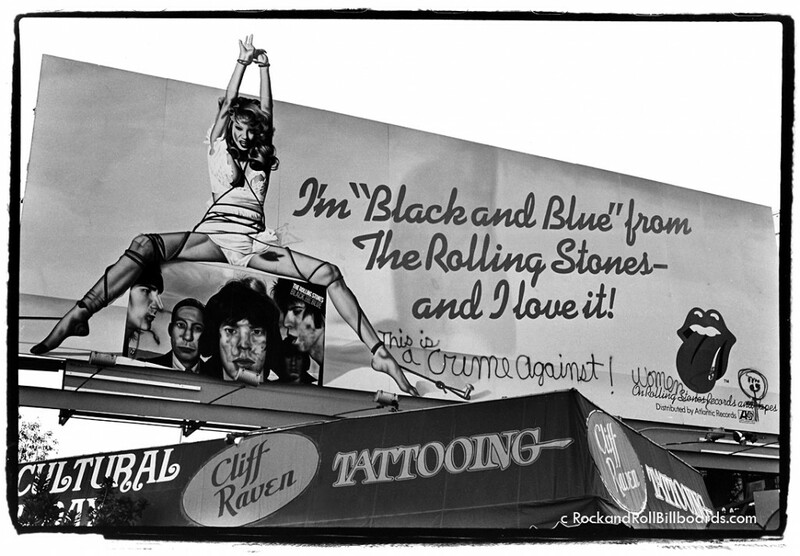 Thanks to him, a little piece of rock ’n’ roll history got preserved because the rest of the billboard is long gone. 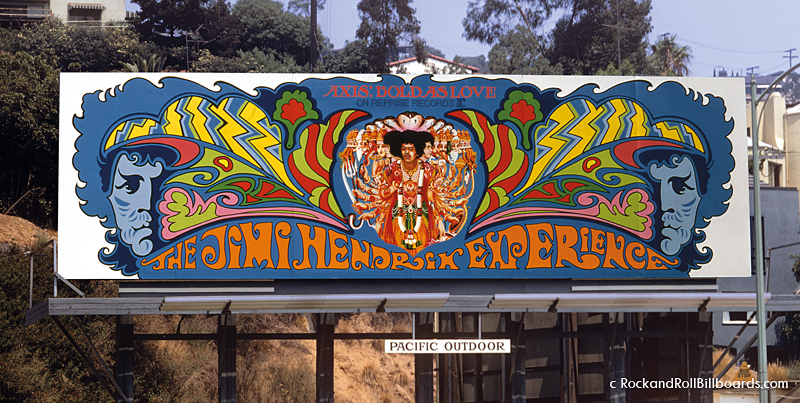 The Sources of Psychedelic Art? 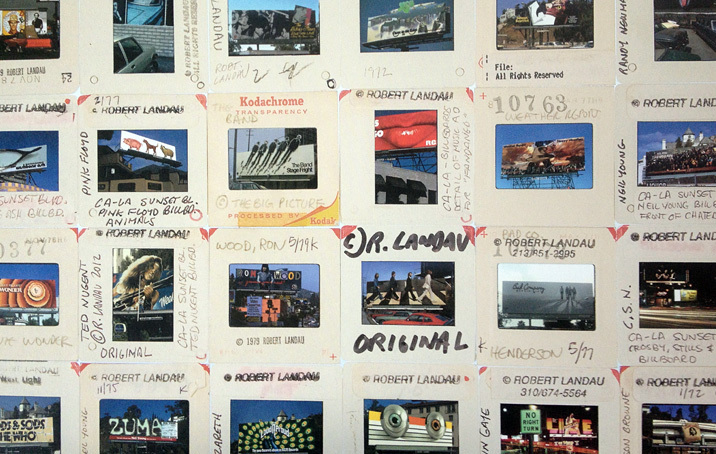 Drugs, But Also Picasso and the Fire-Bombing of Tokyo Artisanal Advertising: Reviving the Tradition of Hand-Painted SignsWas Levon Mosgofian of Tea Lautrec Litho the Most Psychedelic Printer in Rock? 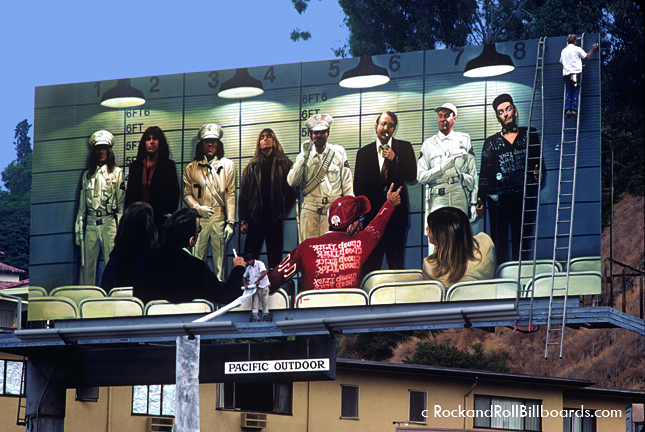 Although not part of the Sunset Strip bunch, one memorable one is for Grand Funk Railroad’s third album “Closer To Home”, which featured the band’s faces painted 60 feet high, on New York’s Times Square. They later said that it was originally supposed to be up there for one month, but the painters’ union went on strike after it was done, and ended up being up there for three months! Loved the article. 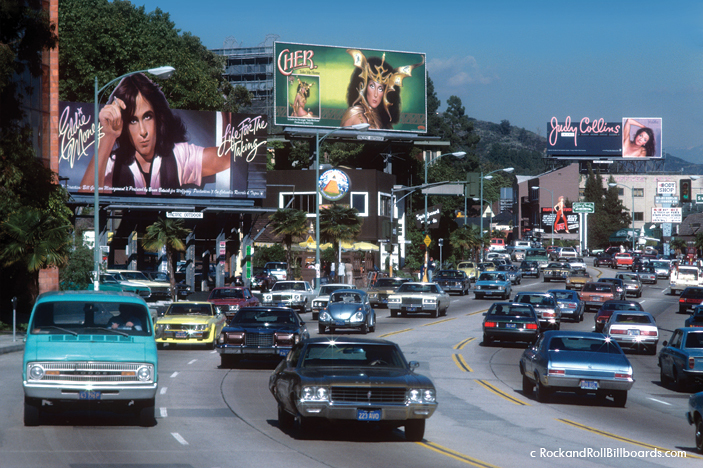 You might want to check the date on the photo with the Eddie Money, Cher and Judy Collins billboards – those albums were all released in early 1979. 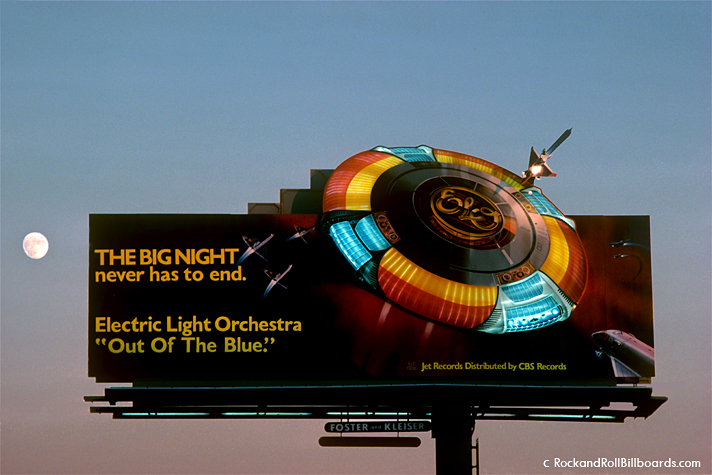 Such a shame that such a unique and beautiful form of music advertising wound up disappearing. 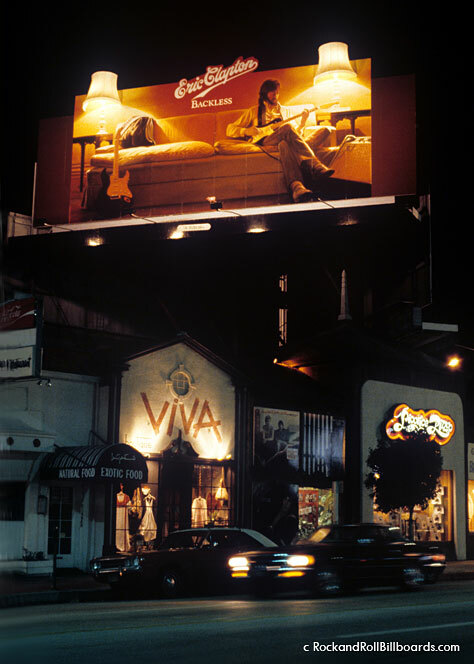 Personally, I can’t stand MTV and music video’s and would be FAR more moved by these types of billboards if they happened to make a comeback. Then again, that was such a unique time for music and rock and roll so its kind of nice that it ended, just as that era of music ended really ended and transformed into something very different. Great Article Hunter..and very unique!! Kudos!! “ ” When I got to San Francisco in 1970, I discovered that maybe it was the mecca of underground comix for the guys, but not for the girls.